The IT dept. has raided the apartment of Raghav Bahl over the allegations of tax evasion in Noida today, while he was in Mumbai. The department is looking for the records related to the case. 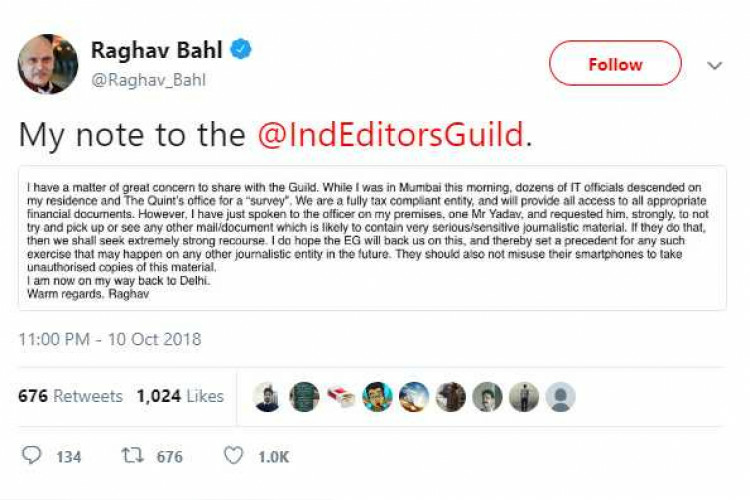 After knowing about the situation, Bahl issued a statement that many IT officials are investigating his house and ‘The Quint’ office. He said that he’ll provide every financial document and that they are a fully tax compliant entity.